I would like to take this opportunity to wish my step son Chad Richard Collins a very happy Birthday today. Chad is a hard one to get pictures of, but thanks to my diabolical plan to have a picnic and teaming up with my Sister in Law Chris (not really) we teamed up to get this very rare picture of this fine young man. Chad is probably working today as it seems he is rarely getting any time off this summer from College. If you happen to see Chad today, make sure that you take a little bit of time out and wish him the happiest of Birthdays. 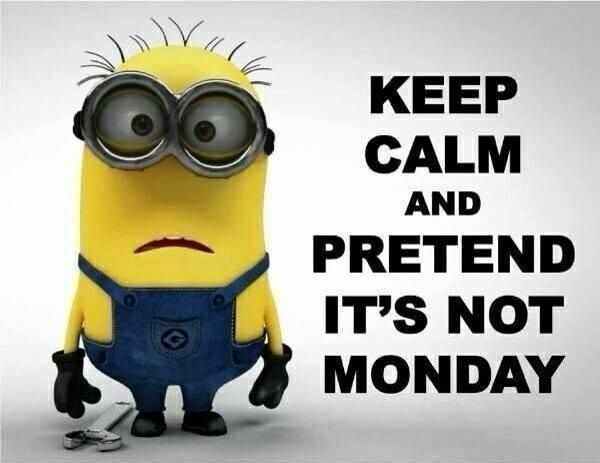 * Well that dreary thing that we call Monday is now once again behind us, we are now staring straight down the barrel of a Tuesday so I still can't think of a better reason to do a tidbits. 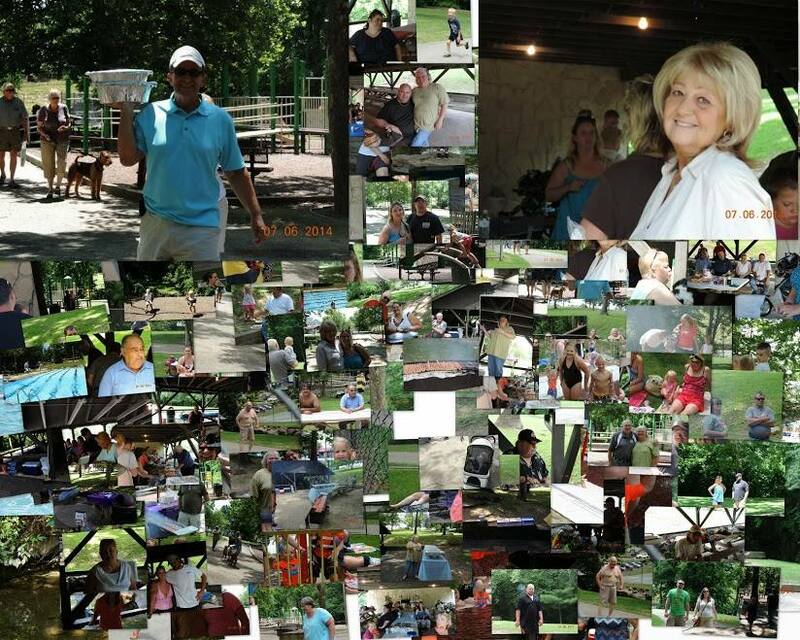 * First and foremost of all a big heart felt thank you to everyone who took part in the picnic this past weekend. Lot's of memories captured, reconciliations, seeing family that we don't get to see enough and just spending time with a bunch of great people. It meant the world to this blogger. The album to the Memories is Right Here. * Next I want to thank everyone who helped, showed up, expressed concern or prayed for my Wonderful wife after last Thursday Night's scare. This woman is the world to me and it's a wake up call as to how quickly things can change in the bat of an eye. * I have to steal this quote from my sister Kim from this weekend. It was heartwarming and true. "It's so easy for people to forget that we don't have forever and we aren't promised tomorrow! Treat the people you love like it's your last chance to show them!" * 18,839 days ago my Mother and Father were blessed with a wonderful baby boy, one who would later grow up to write a daily blog that some very special readers tend to read. * It was 4,062 days ago that I Graduated from West Virginia University. * 1,887 days ago I got down on one knee and got myself engaged. * 1,424 days ago I made Michelle make up for standing me up a couple of years earlier, I Married her. * I have around 5,998 more days to go until I retire, give or take a few hundred here or there. * I have 184 days to go until I publish my Goodbye 2015 Blog. * There are still 178 more shopping days left to go until Christmas, still plenty of time to get that shopping done. * If you are counting, there are only 154 more days to go until another Anniversary of my 21st Birthday. * Debuting this week on the countdown, there are 95 days to go until Michelle and I go to the Springs Festival. * There are only 75 more days to go until we head out on our Cruise for 2015. * 67 more days to go until the first WVU Football game of the season. * We only have 44 more days to go until we see Jimmy Buffett again, I'm kind of glad he didn't schedule when I thought he was going to, the weather kind of sucked during those dates. * I have 37 days to go until Michelle and I celebrate our Fourth Wedding Anniversary. * This post makes my 4,105th Blog post that I have written for George's Journal since I first started to write it a little over a decade ago. * There are no updates this week on the Brother search. Both Carol and I are waiting on Government agencies to get us some paper work still. * No updates to the Hall Family Tree this week, it's just that time of the year when I am concentrating on those of us who are here instead of remembering the previous generations. When the weather gets cold I'll be back to it. * Michelle returned to work yesterday after her little scare late last week, although she did wake up feeling the effects of a Migraine headache yesterday morning. * Michelle and I will be attending the Rosiak 4th of July Party again this weekend. I think this makes my 18th straight year (Wow) of going. Well all good things must come to an end, and unfortunately that also includes an event filled extended weekend that has hit the whole spectrum of emotions. Now it is time to stick our noses back on the grindstone for a few days and get back to doing what it is we do for a living. We had a great time at the picnic yesterday and would like to thank everyone who participated and showed up to make this a very special event for all of us. I say we do it again next year. I've placed all the pictures from last night HERE on Facebook. 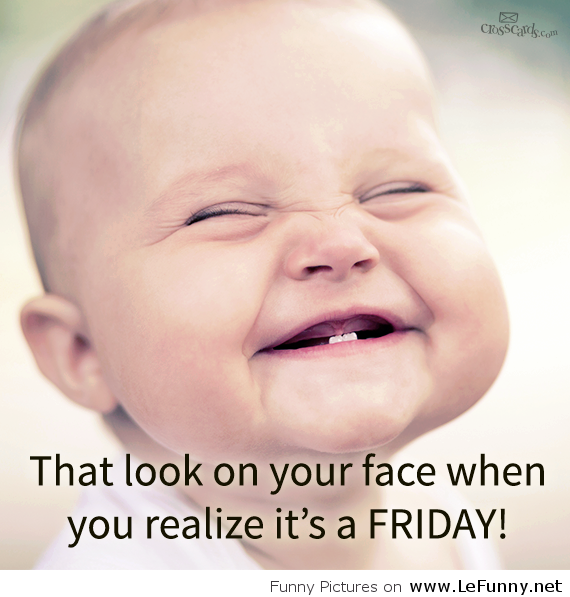 Looking at our week ahead, Michelle has a Dr's appointment this afternoon and her son Chad has a Birthday coming up tomorrow. For both Michelle and I this coming weekend will be an extended Holiday Weekend as we will both be off Friday for the 4th of July Holiday. I love this time of the year, picnics, family, friends and fireworks. Well all of the planning and prepping is over with, now it is time for the 2015 picnic at Krepps Park. We're more than ready after a pretty busy day yesterday running around and grabbing the stuff we need for today. I have to say that I for one am very excited, we have family coming in from all over including South Carolina and the other side of Ohio. We are going to have the chance to get a very rare picture of all my siblings (minus one we are still looking for) and spend the day with some very special people. Last years picnic was the first, and was meant to be a Christmas in July for my Step Mother was was pretty much hiding the fact that she was fighting a losing battle with Pancreatic Cancer. What we didn't know is that we would also lose her brother the same night. This years picnic will be about renewing. Seeing family that we rarely see and friends that we just don't take enough time out to enjoy. I will be grabbing as many pictures and videos as I possibly can. I'll create the album on Facebook and make anyone with a camera a contributor. Have a great day, we plan on it. 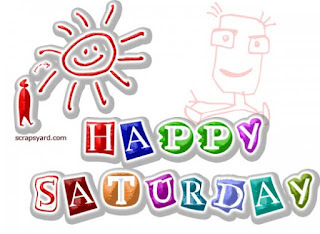 Well here I sit yet once again on a quiet Saturday Morning, Michelle is still resting and I'm up early writing one long blog and decided to split these into two as the previous one needs to stand alone. I'm up watching something on TV and collecting my thoughts and pouring put my soul on the WWW. I'm going to have a very busy day today to say the least. The Friends and Family Picnic is almost here and we have to do our home shopping, and chores before we do all of our shopping for tomorrow. So it will be our Sunday Morning Grocery shopping this morning followed by doing laundry for the week and starting to shop for tomorrow. I'll probably run out this afternoon and get all the soda and water for tomorrow and then we're going to run out again later this evening to gather the Hamburger and Hot Dog Buns, Meats to grill, Condiments, Food Containers, eating and serving utensils, vegetables for burgers and a few other things to prepare for tomorrow. We just want tomorrow to be free and open all day so that we can enjoy it with all of our friends and family, especially after the events of the past couple of days. Have a great day and I'll make sure Michelle rests and relaxes if she desires, I've got this. Tomorrow we have it from 8:00 to 8:00 and the pools open around noon. I've got to be there early and I'm thinking of having the food ready to consume in the early afternoon. People asked if they can help, we will be there early (8:00-10:00 time frame) unloading, setting up and doing what ever we need to do while we still have access directly to it by vehicle. Any and all help is needed, appreciated and will not be told no. 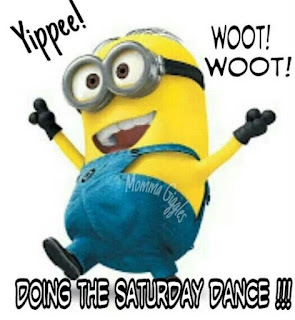 There are serving areas to set up, cooking to be done, grills to be cleaned, maybe even a canopy to set up if needed, games set up, table cloths placed, drinks to be put on ice and ;lets not forget all of the unloading. Come early, stay late and enjoy the company of a whole boatload of some of the greatest people anyone would ever want to meet. Have a Great Day and enjoy yourselves today, for tomorrow we Picnic. Thursday Night me and my wonderful wife had just finished watching Orange is the New Black's final episode of the season. We were just winding down for a few minutes and playing a game or two before going to bed. It was at this point that I had thought my life had changed forever with a tragedy. I look back and she is leaning on her chair towards me talking some garble and incoherent language. Sitting at my computer I instantly knew things were not OK, so I threw off my headphones and glasses and started to walk towards her to check on her. It took about 3 seconds to realize something was not right, her face was drooping, her motor skills were greatly diminished and she was slurring anything and everything she said very badly. I'm thinking she was having a stroke, my first phone call was to her Sister Chris who was teaching Vacation Bible School at her Church on the Mileground but there was no answer. Her phone was somewhere else and turned down because she was teaching. At that moment she felt a panic that she needed to check her phone and returned my phone call without listening to the voice mail I sent her inquiring what I needed. I told her I thought Michelle was having a stroke and knowing a stroke victim has a small window to overturn any effects of a stroke she immediately instructed me to call an ambulance, so I immediately hung up with her and called 911. From the time I had first called Chris until BOTH Jim and Chris AND the Ambulance arrived from the Mileground was literally about 4 minutes. They pulled in First as Jim is a Former EMT here in Morgantown and probably would have won any race against the best NASCAR driver to get here ahead of them, I'm still in amazement of how quick both Jim and Chris as well as the Ambulance got here. We loaded her up on the gurney and took her to the Emergency Room, thinking we only had a 60 minute window to administer the medications necessary to offset a strokes affects. Being she was coming in by ambulance and it was a Trauma, we got priority like and was seen by a team of experts in a matter of a few minutes. Within that first 60 minutes, the Ambulance arrived, she was transported, seen, giving a CT Scan and EKG and an assessment by the Neurologist in about a total of 45 minutes. In the Emergency Room her speech returned slightly, she was coherently having conversations with everyone and appeared to be snapping out of it, but still with greatly diminished motor skills and speech. After a few hours there they decided to admit her and administer an MRI, I run home home to get things she asked me to get and Chris, Jim, Amanda, Chad, Laiah, Hayley and Josh all waiting with her to go upstairs. Before I left, Jim walked in and asked if he could pray for her, well the obvious answer was yes and he did so. I run home and grab a few things and returned her Dad's text message with a Phone call. I told him she has made a tremendous comeback from earlier in the night, but exhaustion made her appear that she was she was dropping back into it. I gather her stuff, run back to the hospital as she is now in a room and I go up to her room and get the absolute joyous surprise of my life as she had appeared to completely slip out of it. Her speech was back to 100% and no slurring, her greatly diminished motor skills had returned and she had no idea where she was or how she got there. I walk into the room and I saw a puzzled look on her face as if she did not know who I was, but fortunately that puzzled look was how did I get here and what happened. Relieved on my part is an extreme understatement. We got her settled down and everyone left once they felt she was going to be OK which was around 1:00 AM or so. I think I left around 1:30 to return home and give her a small chance to rest as she was exhausted. They got her up around 4:00 or so (same time I woke up after about 2 hours of sleep, but I rolled back over for another hour and a half) to give her her MRI. I returned to the Hospital about 6:30 after talking to her and picking up some breakfast that she wanted. 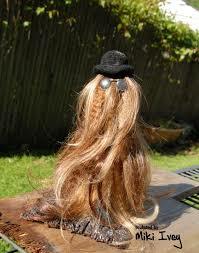 When I walk into the room, she had little to no recollection of the night before. She does not remember talking to her Dad on the phone (after she went back to her room), but she remembers talking to my Brother on the Phone. She remembers Chad being there, but not Hayley. She remembers her niece (Dr) Amanda being there, but not Jim or Chris. Obviously this scared her a little, she had lost a number of hours from her life and only slightly recalled it. Her Sister Chris also joined me at the hospital and they administered and EEG about 9:30 or so. After that the Doctor came in and spoke with us, she scored a 0 on the Stroke test, the CT Scan and EKG looked fine, the MRI showed no problems and they were just waiting on the EEG results to make a final diagnosis. Everything came back fine, they think it was something called Transient Global Amnesia (TGA), but they could not rule out a Transient Ischemic Attack (TIA) and determined she was at no health risk any longer and released her. She has no trouble remembering anything from yesterday and we even went out to dinner yesterday evening and went to Sam's to do our grocery for the week before returning home. It was as if nothing happened, she just lost a few hours of her life that she can't remember anything from that particular time frame. I am thankful to say the absolute minimum and would like to thank everyone who was asking about her and concerned for her, the list would be too numerous to name, just know we are thankful for each and every one of you and the roles you played in conveying messages to others and taking that burden off of us so we could concentrate on her well being. I can't express the comfort and relief in knowing my wife, my best friend and my soulmate is going to be OK.
No movies tonight in Morgantown as there usually are, there will not be another one coming up until July 17th. Fear not because there are a few other things to do around town this weekend including Discover the Dinosaurs going on at Mylan Park. Mine and Michelle's plans for this week are pretty simple, with the big picnic coming up Sunday, we'll be running around getting our normal house shopping done as well as shopping for the Picnic that is coming up this Sunday. It looks like we are going to get a very good turn out and Michelle has bought a bunch of prized and games for the kiddies to entertain them. Hopefully we will improve on last years effort and make this one just as if not more memorable. So this should be a memorable and eventful weekend for us and hopefully everyone around us. Once a week I like to take a little bit of time out and look through all of the pictures that I have either captured with a lens, scanned or just stolen from some place on the internet. Little lost moments in time or in this weeks case a collage of those lost moments that are put up here and relieved briefly. Some times this is a pretty easy task like this week and sometimes you do struggle to find what you want, however one thing it always is and has been is a whole lot of fun. This weeks picture(s) was actually quite easy. 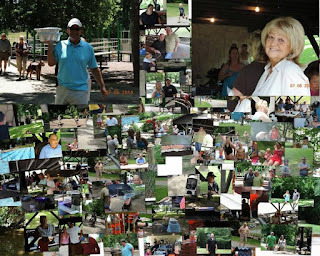 With the 2015 Picnic coming up this weekend, I thought I would take a little bit of time and put the collage of last years picnic up. It was a great time last year and one of the questions that I was asked was "are we going to do it again next year" and the answer was a resounding yes and that picnic will be this Sunday. I'll have my camera in tow and try to capture as many memories from this years event as possible, once I create an album on Facebook for this years event I'll add other people in so that they can add their pictures as well. The collage was from everyones pictures. We're doing a little tribute to last years event this Sunday, but that will be with about half of the pictures I took last year. My Little Home in West Virginia. And finally his version with family members. I hope you enjoy listening to these as much as I had finding them. I do have his complete collection stored on my iPhone, but many are without titles and were just compositions he was working on that were never published. For more on his life, follow this link. The picture at the font of this article of my Grandfather, Bill Addis and Steve Sholes, hangs in my home to this day. Either the wiki site or the posted article misspelled his name, but this is the same Steve Sholes. It was written by Uncle Chuck Wolfe from Moundsville and Carl Fleischhauer back in the late 1970's. I can even remember as a kid seeing some correspondence letters between my Grandfather and Chet Atkins. I wish I would have known then what I know now, I would have made sure that they were preserved. I do remember the day that Grandpa Hall cleaned out his desk where all of these letters and music were stored and he through them in the trash. I had a notion of grabbing them and hiding them from him instead of letting them become rubbish, but hind site is always 20/20. * Well that dreaded week starting, weekending ruining day of the week we refer to as Monday is now behind us, time to start concentrating on a Tuesday and moving this week along. Still can't think of a better reason to do a tidits. * It was 18,832 days ago that I with blessed with the gift of life, I consider each and every one of them a blessing and am thankful for each and every person I have met or will meet on my journey through life. * It was 4,055 days ago I Graduated from West Virginia University, a dream that I had always had but got a very late start in life in my quest for it. * It was 2,656 days ago that I took my wonderful wife Michelle our on our very first date. * It was 1,880 days ago that I got down on one knee and proposed marriage to Michelle, best decision that I ever made in my life. * It was 1,417 days ago that we held our wedding in front of our closest friends and family at the Marilla Center. It was a magical day for both Michelle and I and we are thankful for everyone that was there and shared our day with us. * I have about 6,005 days to go until I retire, give or take a few hundred here or there of course. * There are 271 days to go until Spring 2016, Spring is my favorite season of the year followed by Summer, so since we are now in Summer I'll count down until I see another Spring. * In 191 more days I will write my Goodbye 2015 blog, recalling this year according to what I write right here. It's the most enjoyable blog I write of the year as it let's me reflect upon my previous year as we get ready to move towards another one. * There are still 185 more shopping days left to go until Christmas. * There are only 161 more days to go until my Birthday. * We are counting down and only have 82 more days to go until our 2015 Cruise aboard the Carnival Pride. * OK local Football fans, it's only another 74 days to go until the 2015 WVU Football season is officially on the way when we take on Georgia Southern. * Only 51 more days to go until we see Jimmy Buffett once again this summer. I'm more than ready to do a little Fins. * There are a mere 44 days to go until mine and Michelle's Fourth Wedding Anniversary. * There are only 5 more days to go until the 2015 Picnic, Michelle and I put together a little story board of last years event to share with everyone at this years gathering. * This is my 4,097th blog that I have written for George's Journal, the over a decade old daily blog of my life and what I experience. * There was no work done to the Hall Family Tree site, but I did make a couple of uploads and edits to the FindaGrave site. * No progress to report this week on the Brother Search, still waiting to hear back from Carol once she gets her information and I have a request in through VitalChek that I am also waiting to hear back from. * If anyone has any Cameras they want to bring this weekend, please feel free to do so so that we can get as complete of an album as possible. * My niece Amy has had her ups and down recently with her chickens. From getting rid of them all, to finding a mother and chicks, to having the mother attacked and losing half the chicks to a couple of the chicks killed by a stray cat. These are the events of the past few weeks for her and her chickens. * The West Virginia Black Bears managed to win their last two games of their inaugural Homestand this weekend. After being beaten Friday night and rained out Saturday, they won both games of a double header on Sunday. * To everyone who thought they saw tornadoes here in Morgantown over the weekend, they were actually scud clouds. If there is no debris, there is no tornado is the rule of thumb to remember. * If you have a few extra bucks laying around, The Phoenix Bakery needs your help. Morgantown has these talented bakers who have learned the trade from the previous owners, we can't lose this wonderful Morgantown Bakery. No one compares. All good things must unfortunately come to a bitter and abrupt end. The weather for the most part was less than cooperative for us this past weekend, but it wasn't a total loss for us. Now it's time to stick our noses back on the grindstone for another fun filled week of doing what it is we do for a living. It's Monday and time to gt back to work. Looking at the week ahead, the weather looks absolutely horrible, I'm just hoping we get a nice break for the family picnic this coming Sunday at Krepps Park. The good part is that we do in fact have the pavilion reserved and paid for, so that makes it a little bit better for us. It's a gamble to get it, but something tells me this year it was a wise choice. I printed out a number of pictures from last years picnic and am going to put them on a big poster board for everyone to see and enjoy. If we continue to do this every year, it will start to tell a story and the story will build and grow. Each year will have its own personality, and I thought remembering picnics past is something everyone will like. Credit however for this idea goes to Pat Rosiak, as she has numerous picture boards from all of her 4th of July picnics she has had at her home through the years. A lot of them are even my pictures lol. I hope everyone has a great day and a quick week. Today is a very special day, it is a day that we take to honor all of the great men who were or are Fathers. A day that much like Mother's Day has it's origins right here in West Virginia with the first observance of Father's Day in Fairmont, West Virginia. My Father is no longer with us, we are going on 16 years since he left us but he will never be forgotten by any of the people's lives that he touched. 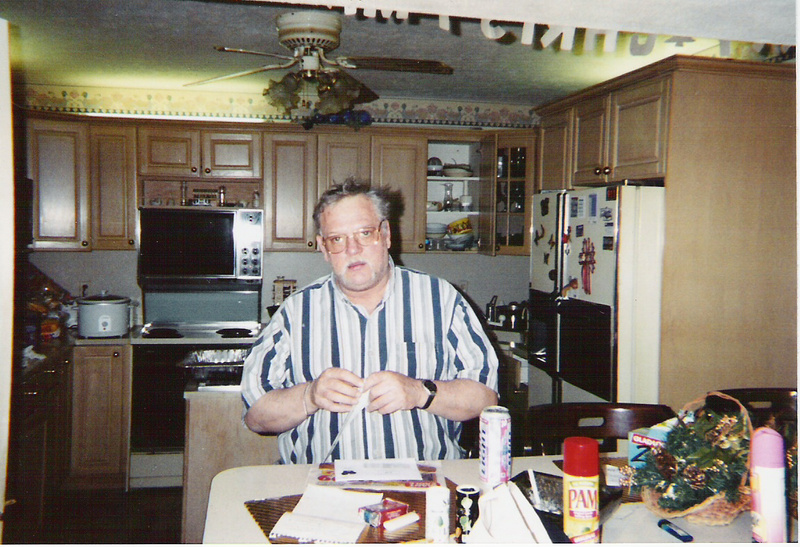 My Father in my eyes was a great man, a family man who loved having everyone around and spending time with them. He would always have big cookouts or picnics were we would all feast like kings and make memories that would last us a lifetime. We miss you Dad and wish you were still with us, Happy Father's Day. Here I sit yet once again on a quiet Saturday Morning, I'm up collecting my thoughts for the day and watching bedazzled on HBO and surfing the net. 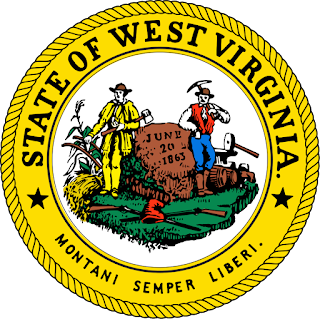 It was on this day in 1863 that West Virginia broke away from the State of Virginia and became our own state. It is West Virginia's 152nd Anniversary of statehood. No plans for Michelle and I as of yet, the weather still looks to be less than cooperative so that could really inhibit our options for the day, with the family picnic coming up next weekend, it may just be a day of doing nothing but a little planning. New Day Bakery is becoming the Phoenix Bakery (arise from the ashes) and they have a GoFundMe start up campaign going to help the new owners and the old employees to get it started. Michelle and I made a small donation as we absolutely love all of their products and would hate to see the city of Morgantown lose such a wonderful business. 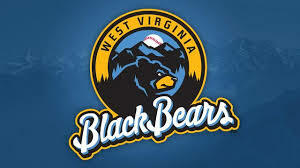 The West Virginia Black Bears had their inaugural game last night against Mahoning Valley and lost 15-7. Former Pittsburgh Pirate great and 1979 World Series Championship Closer Kent Tekulve was on hand to throw out the ceremonial first pitch for the evening. They resume their series this afternoon at Monongalia County Ballpark. It seems like it was only yesterday that Val and Bobby brought this little bundle of joy home from the hospital. 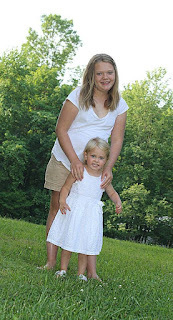 It has been our honor watching this young lady mature and grow up over the years. Not sure if Val has anything special planned for her today, Val had her and Josh's birthday party together last Saturday Night and we all went and ate a feast and watched the kids open up their Birthday Presents. If you happen to see this special little girl today, make sure you take a few minutes out and wish her a very Happy Birthday today. Well there is a lot going on around Morgantown, if you do not already have your tickets, you are out of luck as the West Virginia Blackbears, The Short Season A Affiliate of the Pittsburgh Pirates, begins their inaugural season in Morgantown this evening. The game is already sold out including standing room only tickets for their opening game this evening against Mohoning Valley. Weather permitting I am going to catch a game real soon, until then the games can be listened to on WVAQ. Looking for a little cheap entertainment, and by cheap I mean free? BOPARC will be playing the movie Annie this evening at the King Street Park. So if you want a little cheapo entertainment, grab a blanket or a lawn chair and your favorite snacks and head to King Street Park weather permitting for both activities. 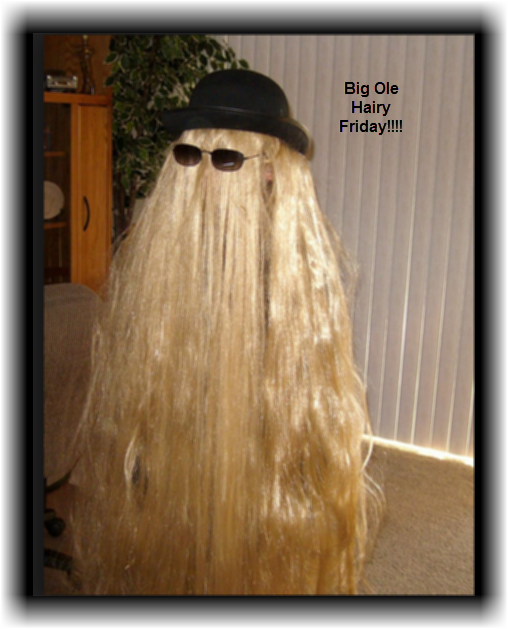 Have a Great Friday and let's get this party started. This weeks picture was kind of an easy one for me, I knew exactly which batch I wanted to look in to find the appropriate picture. Ang and Moke are Pregnant and are expecting the first Baby McClain early next year, so I thought I would go back to a special day and grab a special picture. This is from the day of their High School Prom. 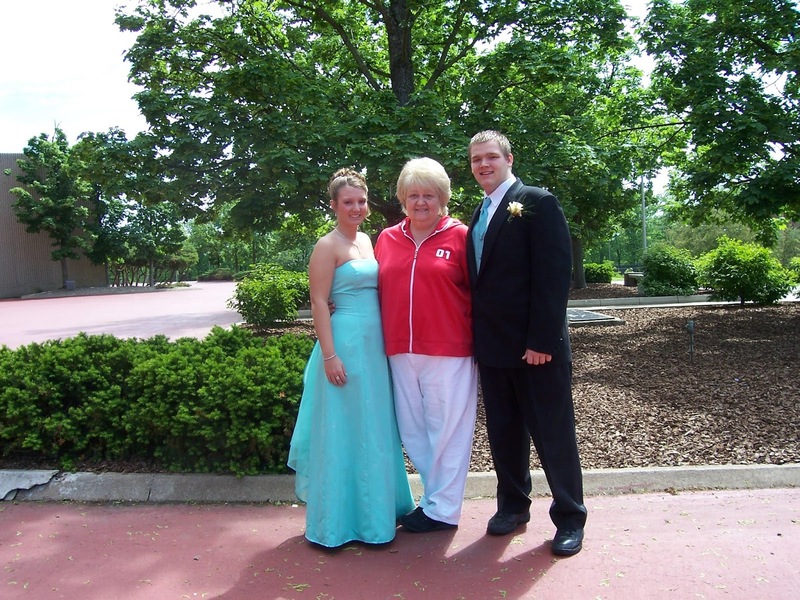 They were High School Sweethearts who went to the prom together, so I wanted to use that or their wedding day but since I used that earlier in the week (see below) I chose to use their prom pictures. In the middle of them is also a very special lady who is no longer with us, so I decided to use the picture of the three of them for my blog. We all met at the WVU Coliseum that day as the backdrop so that I could gather a number of pictures of the lovely young couple. I managed to get a number of pictures that day in all kinds of different settings, but this was the one that I felt had the most meaning considering the announcement earlier this week. 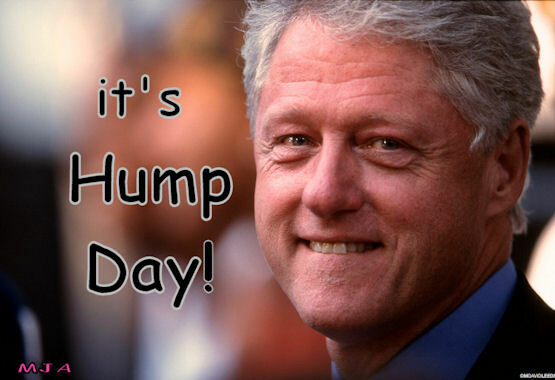 Well there is two work days down this week, we have two ahead of us not including this one, so it must be get over the hump day. One again in the middle of the week I struggle for content (I've been doing that a whole lot lately), so I thought I would do a normal blog and a wisdom all combined into one. One thing that I truly believe is one thing that we should never stop doing is learning. Always seeking a new skill or just sharpening up a new hobby. One site that I have always used is called Coursera, a very good site for enhancing what ever you want to enhance whether it be something Geospatial like my field, Project Management, Marketing , Logic or even Photography. Some of the courses are free and some have a small fee, but they are all taught by professionals in the industry or Professors at some specified college (consider it free college education in some cases). It never hurts to broaden your base of knowledge, this is just one of the sites that I like to use. Does anyone else have any that they like? Let me know and have a great day. 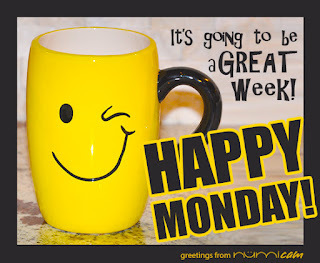 * Well that dreaded and dreary thing we call Monday is now once again behind us, Michelle has made it back to work and we are staring at a Tuesday now. Still can't think of a better reason to do a tidbits. * I just counted and I have been alive for a grand total of 18,825 days so far, I am thankful and appreciative of each and every one of them and hope that number pretty much doubles. * It has been 4,048 days since I graduated from West Virginia University. * It was 2,649 days ago that my life would forever change. I took a recently widowed woman with two wonderful children out on a date and a night on the town, it was the day my life changed for the better. * It was a mere 1,873 days ago I wanted to make mine and Michelle's relationship a little more permanent, so I proposed marriage to this wonderful lady. * It was 1,410 days ago, in front of our closest family and friends, that Michelle and I exchanged our marital vows and became Husband and Wife. * If you are counting like I am, I have about 6,012 days to go until I retire, give or take a few hundred here or there of course. Unless I win some super rich lottery, then I'll just change jobs to traveler of the world and never retire. * I have 198 more days to go until my Goodbye 2015 blog is published. It's almost to the point where I have half of the content to draw from, so it's getting closer. * There are 192 shopping days left until Christmas, if you haven't started yet, you still have plenty of time. * In 168 more days I will celebrate another Anniversary of my 21st Birthday. * 89 more days to go until we set sail once again on our 2015 Cruise aboard the Carnival Pride out of Baltimore. This will be the fourth year in a row we will be heading to the Eastern Caribbean on a cruise. * There are only 81 more days until the 2015 WVU Football season is under way. The Mountaineers start this season off with Georgia Southern right here in Morgantown. * Alright you Parrot Heads, there are only 58 more days to go until we see Jimmy Buffett in Burgettstown again!!! * In 51 more days, my lovely wife Michelle and I will be celebrating our Fourth Wedding Anniversary together. * I'm getting excited now and the planning is starting to kick into high gear for the 2015 Family Picnic in just 12 more days. * There are only 5 more days to go until the official start of Summer, my second favorite season (Spring has always been #1). * I have written a grand total of 4,089 blogs for George's Journal in the over a decade that I have been writing this. I have done other blogs, but they have all either been theme based or died off from lack of interest on my part. * Nothing new this week on the Brother Search, I am still waiting to hear back and see if I can obtain a copy of the birth certificate. It's a stab in the dark, but we are still trying. * Nothing done on the Hall Family Tree site this week, when the weather cools down this fall I'll start re-investigating and making it a little more robust. * Father's Day is coming up this weekend, it's another Holiday that has strong origins to North Central West Virginia as the First Father's Day was recognized in Fairmont. * The weather for the week ahead does not look too cooperative. * The West Virginia Black Bears will start their 2015 Season starting this Friday against Mahoning Valley. From my understanding the Friday game is already sold out. I have to make it to a game some time in the near future. * There is a Farmer's Market today from 3:00 - 6:00 at the Old Shop and Save in Westover. 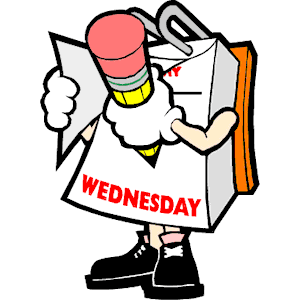 * Tuesday's Tidbits is the easiest and hardest blog to write for the week. It's easy because all I have to do is regurgitate numbers, it's hard when I have to come up with other tidbits non numerical related. * Gerald has quickly found a new job since the closing of Big Kahuna's, he'll be working for Bell's Wholesale. Congratulations to Gerald for starting a new career. * We did have a little bit of a nutcase and drama in the Valley this weekend, Michael used the Stores Video to show how this moron acted. No idea who he is, but he needs to be a resident of one of our fine correctional institutions. * Now I think it is time to start planning some kind of event later in the summer (post picnic), any ideas? Heck even a good old fashioned cookout at Marilla Park would be do-able. Any ideas? 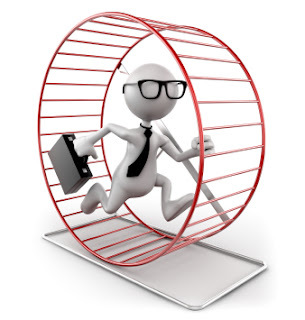 Well it's the most dreaded day of the week, the day where we stop having all of the fun that we have been having and stick our noses back on the Grindstone for another fun filled week of doing what it is we do for a living. It was one of those funny weather type of weekends, it's raining it's not raining, it's raining, it's not raining and it doesn't look like Mother Nature plans on being too cooperative this week as it looks like it is going to be a wet one. Of course the water table can always use a good rain, so the crops and all of the vegetation are going to love this. We have started watching Orange is the New Black Season 3, it's good so far, but it's a show that always gets you wanting more at the very end of the season much like House of Cards. We'll spread this out and savor it as we enjoy this season. Have a Great day and let's get this work week off to a quick start. OK I have had to bite my tongue fro a few days until everyone who needed to know was informed, but now I can run my mouth. My nephew Moke and his lovely Wife Ang are now expecting a baby!!!!!!!!!! I got the call late last week and Moke informed me that Ang was about 6 weeks Pregnant, so I am guessing we are going to have a new little one in the family some time early next year. Congratulations to both Moke and Ang, something tells me that this is going to be one spoiled little kid. We ran around and visited Dad and Jeans Grave this afternoon, they had finally gotten the date put on Jean's grave. It has been nearly six months since she passed and the guy doing it was having problems with his compressor causing the delay. That's not the story though. Her brother Mick had also passed away probably around the same time that she did. They were two peas in a pod so to speak. A few weeks ago someone put a purple Styrofoam cross on Mick's grave with his picture embedded into some of the flowers on it. It was a beautiful tribute until they get a permanent marker in place. This afternoon we had noticed that the cross had blown away and was actually a decent distance from Mick's Grave. We went and retrieved it and noticed that the picture was gone. As Michelle put the cross back in its holder I scoured the Hillside looking for the picture to place back on it. I couldn't find it and then Michelle joined in on the search and she couldn't find it. We checked all over but to no avail. The above picture was taken when we first arrived at the Grave-site with my phone. After searching Michelle wanted a picture with her phone and managed to grab it. Where Jean is buried (see discolored grass), just about couple inches outside the view from this picture was something pretty amazing. It was Mick's picture from the memorial put up for him. Sitting right beside her grave as if he had stopped by for a little visit to say hello. After they had their little visit together, we replaced Mick's picture back on the Memorial Cross that sits atop his grave. These two never cease to amaze me. Here I sit yet once again in the early AM, I'm the first one to recover from that knockout blow from the dreaded Sandman yesterday and I'm up watching Oh God on HBO and collecting my thoughts for the day. Yesterday's Birthday party went pretty well, Mother Nature was not cooperative when we needed her to be but things did clear up and the kids were able to hit the pool and have fun for the evening eventually. I did manage to put up all of my photos from the party, but for some reason it was not my best effort grabbing the moment as you can tell. We did capture a lot of video, but there was a lot of background noise going on so I'll probably edit those and throw a little background music or use it in some kind of eventual montage video with other clips. I've got it, now I just need to get creative with it. Today we're just going to be doing our shopping and getting ready for another week of work coming up. Michelle is still in a lot of pain, but she is healing up and will return to work this week in much better shape than she was. I'm surprised they did not admit her to the hospital and administer an IV Antibiotic to her, but the oral medications and staying on top of this seems to have been pretty effective. 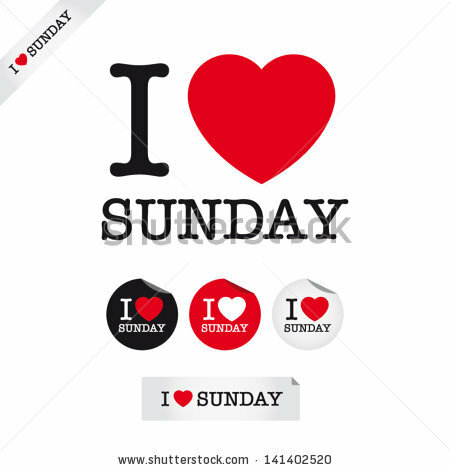 Have a great day and enjoy your relaxing Sunday. Here I sit once again in a quiet household, I'm once again the first one to recover from a losing battle with that dreaded Sandman and I'm up watching Idiocricy on HBO and collecting my thoughts for the day. No big plans for this morning, but we are going to a birthday party this evening for Erica and Josh. Val asked yesterday about an ingredient she need for Erica's cupcakes, Apple Gummy Rings.You would think anyone who sold bulk candies would have it. She ran around yesterday to a half a dozen places and couldn't find them, we ran to Sam's Club, Giant Eagle, two CVS's and a Walgreens and had absolutely no luck at all. We stopped at Valley Mart across the street to play "777" on the daily number, I had a hunch, and guess what they had an abundance of? You guessed it, those Apply Gummy Rings or at least a similar product. We picked them up and Val came over and got them from us, mission accomplished. It's going to be a pool party for the kids this evening, I know Val has been stressing and trying to get this organized and have everything ready. Should be a great day as I will have my camera and video camera in tow capturing the moments. I did get a message from Brittany, she has finally received the flag (which for some reason I can not orient this picture correctly. We went through Congressman McKinley's once again and arranged to have the flag that flew over the US Capital on the day that she graduated from West Virginia University (May 17th) for Brittany to have to commemorate the day. It does take a few weeks for it to arrive, but it finally arrived yesterday and she messaged me to say thank you. She wants to get a picture with us and her together at the Picnic in a couple of weeks, and we will be honored to comply to that request. She earned it. Today is the last day of business for Big Kahunas, my Sister and Step Father both have worked there but the new ownership is not retaining them. I think it is a huge mistake as the regulars are familiar with them and want them to stay, but the new ownership wants to take it in another direction. We tried Morgantown's new Sports Bar the Green Turtle yesterday afternoon, we wanted to try it before the place got bombarded as every new establishment does and we were very satisfied. It will be a place that we go to again. Have a great day and enjoy your Saturday. Well kiddies it's official here in Morgantown, Marilla Pool is now open for the Summer as of today. Grab your swimsuits, forget about the school year and just enjoy yourselves for a few months, you have more than earned it. There are no free movies tonight in Morgantown, but the Preston County Inn in Kingwood shows movies every Friday night this summer for free. So if the kiddies need that free movie fix, Kingwood is the place to be tonight. Michelle and My plans for this weekend are probably pretty limited. She went back in on Wednesday and they had to make a bigger incision than they did on Monday, so she has been quite sore to say the least. We are planning on going to my great niece and nephew Erica and Josh's Birthday party tomorrow evening at their home. Val decided to change a few things up and do it on a Saturday evening this year rather than the traditional Sunday Afternoon thing. This will be their first Birthday Party without Jean, so she's trying to change a few things for them. For you Orange is the New Black fans as Michelle and I are, Season 3 is available to purge watch it starting today. There are two shows Michelle and I enjoy purge watching, one is House of Cards and we have made it through three seasons of that and the other is Orange is the New Black. You need a Netlix account to watch these shows, if you don;t have one it is rather inexpensive. Once a week I like to take a little bit of time out, time to look through all of my pictures that I have either captured with a camera, scanned or just stolen somewhere off of the internet. Little lost moments in time I like to post up and briefly re-live for everyone to the best of my recollection. Sometimes this is a pretty easy task and sometimes it's not that easy, but it has and always will be a whole lot of fun. 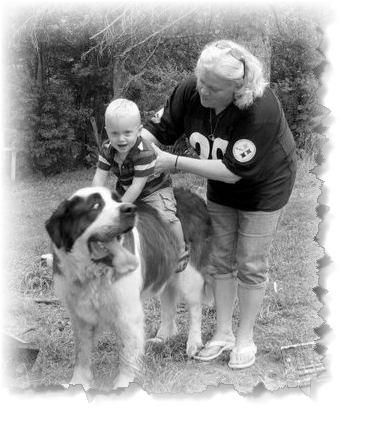 A few weeks ago my sister Pam lost her long time over-sized family pet Spike. 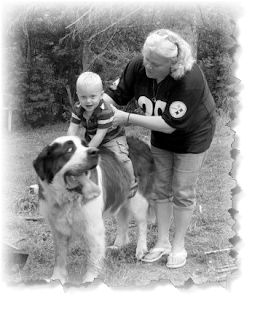 Spike was a huge but lovable puppy that everyone seemed to love. 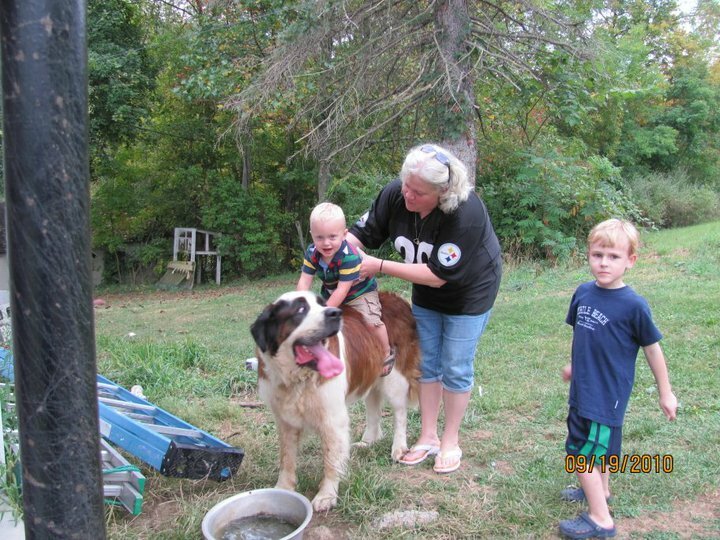 This picture is of my great-nephew Kaiden taking a ride on that over-sized lovable puppy. We were at Pam's for I believe Calvin's Birthday Party when this picture was captured. This picture goes back almost five years according to the time stamp on the image, but the picture itself is actually timeless. One that I think should be cropped and special effects added to to make a little more special. Well that is two days down, two ahead of us now all we have to do is get up over this noon time hump and we are on the downhill towards another fun filled weekend. Appointment today. Nothing to be too worried about, it was just something that needed to be opened up and drained to relieve the extreme discomfort. She is well on the road to recovery now. I guess Colonel Sanders must not like my Niece Amy. She has had chickens for a number of years and decided to get rid of them earlier this year with the exception of one. One that laid 14 eggs and 11 of them hatched earlier in the week so we was back in to raising chickens. Something (I think it was the Colonel) came along and killed the mother a couple of nights ago, so far she has found of of the 11 and they are doing good, but there are still six missing since the last time I spoke with her. Hayley started her new job yesterday, she is going to be working at the Comfort Inn up on the Grafton Road. She'll have split responsibilities including night time front desk. She has a great personality and should work great with customers and should be a real asset to them. * Well the work week once again has gotten started and we have the first day of it in, now we are looking ahead to a Tuesday and I still can't think of a better reason to do a tidbits. * It has been wonderful 18,818 days since I was born, I am grateful each time that number continues to grow. * It was 4,041 days ago that I fulfilled a dream and Graduated from West Virginia University. It was a long road and a very late start, but I still made it. * 2,642 days ago I took a special lady out for a night on the town on our first date. * 1,866 days ago I got down on one knee and proposed marriage to a very wonderful woman. * It was 1,403 days ago in front of our closest family and friends that Michelle and I were Married. * I only have about 6,019 days to go, give or take a few hundred here or there until I finally retire. This just means my days will be full of adventure rather than having to go to the office. * There are only 205 more days to go until my Goodbye 2015 Blog is written, when I relive my previous year based on my Blog. * If you have not started your Christmas Shopping the countdown continues and we only have 199 more days to go until Christmas. * In case anyone is counting, there are 175 more days to go until I celebrate another Anniversary of my 21st Birthday. * We have a mere 97 days to go until Michelle and I set sail once again on our 2015 Cruise to the Caribbean. * OK WVU football fans, there are only 88 more days to go until we take on Georgia Southern here in Morgantown. * The Parrot Heads will be re-uniting once again in Burgettstown in just 65 more days so we can all see Jimmy Buffett once perform once again. * There are 58 days to go until Michelle and My's Fourth Wedding Anniversary. * The 2015 Picnic is just 19 more days away. It's time to start doing the planning and buying to get ready as this day is quickly sneaking up on us. * There are only 12 more days until the "Official" start of Summer. * There are only 4 more days to go until Erica and Josh's Birthday Party. * I have written a total now of 4,080 blogs for George's Journal, the over a decade old daily thoughts that I post on the Web. * No work on the Family Tree this week, it's just that time of the year that I don;t do much work on it. * The Brother Search is still moving along, Carol is still waiting to hear back from the Salvation Army but I have started to move forward in anticipation of what I think we will know. 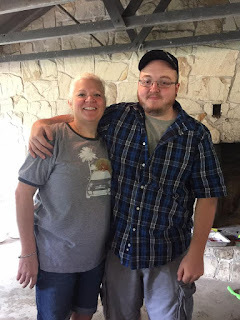 I have paid for and sent away for the Birth Certificate, being I am a sibling, I am entitled to know and we are just hoping that there is some tidbit of information that will help us in finding him. * With Much sadness I have come to learn that New Day Bakery, my favorite bread store, has closed their doors for business as of Sunday and will not be re-opening this week. Fear not, there are some of the employees who are trying to re-open it under their name, so we eagerly await for them to re-open hopefully by this fall. We were there Saturday and you couldn't even get into the parking lot, so you know the loyal customers are waiting for the new owners and full operations to resume by sometime this fall. I did see the previous owners yesterday afternoon and got a chance to tell them thank you. They said it was time for them to move on and were leaving the area. We wish them the best. * Michelle stopped back over at Urgent Care for her MRSA yesterday morning and they sent her to the ER at the Hospital. The anti-biotics were not working so we needed to take it to the next step. They decided that it was becoming abscessed and needed to move immediately to the next step and bring in the Surgeon who opened it up with an incision to relieve what was causing the extreme discomfort. She is well on the road to recovery, we'll see how she feels in a few hours. * Sad news that I have to report, Big Kahuna's were my Sister and Step Father are both employed has been sold and this Saturday is probably going to be the last day that they are in business. The new proposed owners want to take it in a whole different direction from the proven formula that has been working for them. * Josh Judy is still mowing them down at York, he's already got 7 saves on the year. Hey Pittsburgh Pirates, sign my favorite closer to a Major League Contract. * Did run into a little Deja Vu over the weekend when we went to Lowes, I saw a car Glenna Mae used to own 35 years ago and grabbed a picture of it. I sent a picture to Sharon and Lynn and asked them if it looked familiar. All good things must unfortunately come to an end, no matter how much we don't want them to. It's time to put then memories behind us and look forward to another fun filled week of work putting our noses to the grindstone. However before I do that how about a little bit of reflection on the weekend. Being that yesterday was Hayley's Birthday, we invited her and Josh over for a cookout. Steaks is what she wanted (has anyone seen the price of beef the past couple of months?) and steaks is what we prepared. Surprisingly when we asked her what she wanted to drink, she wanted sweet tea which Michelle made. We had our first racing Triple Crown Saturday as American Pharoah became horse racing's first Triple Crown winner since 1978. There has been numerous times that we were anticipating a winner, but 38 years later we finally have one. Well here I sit yet once again, I'm the first one to recover from a losing battle with that dreaded Sand man last night and I'm up early writing blogs and collecting my thoughts for the day. We had nothing planned yesterday, but that didn't mean a damn thing as we were out of the house by about 6:00 and on our way to Western Maryland to pick up some jellies and do a little bit of shopping before running back to Morgantown. I did finally convince my wife to go to Urgent Care, it seems that she has developed MRSA and the rash kept growing and growing. She was hesitant as I tried to get her out on Friday night, but we ended up going at the worst time to Med Express yesterday but that was a whole different story. Not crowded , no emergencies and it took almost 2 hours before we ever saw a Medical professional. However my concern far outweighed my inconvenience. We've got her a few anti-biotics, so this should clear everything up. We're going to do our shopping this morning and a little cookout this afternoon for Hayley and her room mates to celebrate her birthday. Chad and Laiah are both working all day today including Laiah pulling a double. Enjoy your Sunday and Have a great day. I would like to take a little bit of time out to wish the most beautiful, intelligent, and wonderful step daughter a man could ever ask for a very Happy Birthday today. Yes Michelle's wonderful daughter is continuing to grow up and has now started celebrating anniversaries of her 21st Birthday instead of getting older (That's 22 to everyone else). We're going to invite Hayley and her boyfriend Josh and their room mate over for a cook out this afternoon, although Hayley is wanting to do it at her place as they have a pool, but one way or the other we are going to have a get together with her today and celebrate her birthday with her. It has been my absolute honor to watch this young lady grow up and mature through the years and it is my honor to call her my daughter. Here I sit once again in the early AM, I'm the first one to recover from that losing battle with that dreaded Sandman last night and I'm up a little early watching Blazing Saddles on some station (I love that movie) and collecting my thoughts for the day. Well I think our plans for this morning are to head up to Springs PA to do a little shopping. We do this every once in a while to stock up on a few things, usually jellies or lunch meats and cheeses. It's a nice little drive that gets us out of town for a couple of hours and does serve a purpose. Other than that not a whole lot planned for today, but I think we are going to invite Hayley over tomorrow and do a real small cookout for her Birthday tomorrow. Chad and Laiah have to work, so it will probably just be us, Hayley and her room mates. Looking for a little cheap entertainment, and by cheap I do mean free? Well look no further than the Hazel Ruby McQuain Park and Amphitheater for a free movie tonight starting at 9:00 this evening. Everything kicks off at 7:00 with the fun house but the movie doesn't start until 9:00 tonight. Tonight's movie will be Disney's Maleficent. So bring a lawn chair or a blanket and your favorite movie snacks and enjoy a movie at the park. Michelle's niece Abby graduates this evening in Pittsburgh. 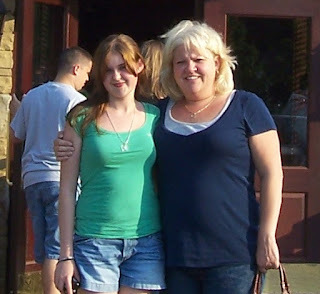 Her mom is having a Graduation Party for her later this summer with we plan on attending, but due to the possibility of rain and her only being able to invite 4 guests if it does, we will most likely not be heading north this evening and will celebrate with her at her party in July. Congratulations Abby. No plans yet for Michelle and me this weekend, but that doesn't necessarily mean we won't be getting into anything. She was going to go out to dinner with the girls from work, but that has been postponed until a later date. 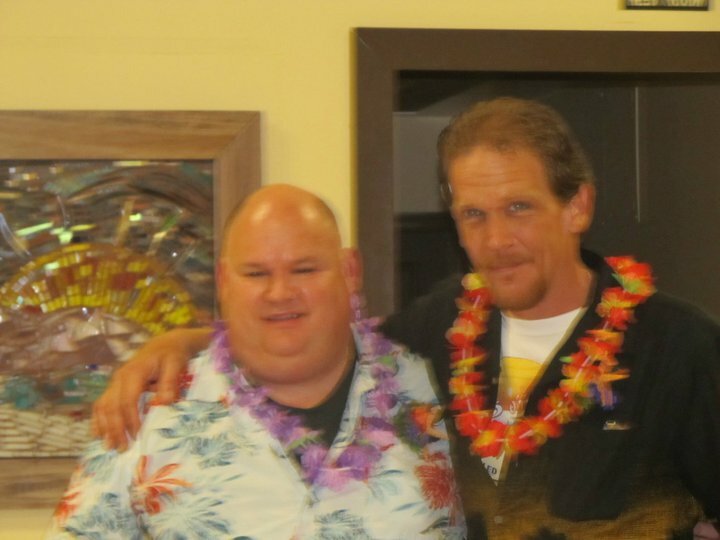 I would like to that this opportunity to wish my little Brother (he's the taller one...lol) a very happy Birthday today. Despite what Gary has everyone believe on Facebook, he will be celebrating the 23rd Anniversary of his 21st Birthday (That's 44 years old) today. I have to say that I have the best brother anyone could ever ask for, as you can see by this picture he was even chosen to be the best man in my wedding. Not sure what Gary or Tonya have planned for today, but I'm sure it will be interesting. If you happen to see this little brother of mine, make sure that you take a little bit of time out and wish him the Happiest of Birthday's today. Once a week I like to take a little bit of time out to look through all of my pictures. Little precious lost moments in time that I have either captured with a lens camera, scanned from an older image or just plain stole it from someplace on the World Wide Web. I like to find just one image and briefly relive it here for everyone to see and share a little story behind it if I can. Sometimes this is pretty easy and there are times that you do struggle to find something that just seems right. I can't complain however because it has always been a whole lot of fun. This weeks picture goes back to 2009, back to a day when my niece Amy was getting married to her Husband Ralphie. It is a very rare picture as it is probably the only one that has "ALMOST" my entire immediate family (that was living at the time of the picture) in the picture. Missing are my nephews Daniel and Moke and his wife Ang and my Brother in Law Nick. Everybody else was basically there with the exception of my Father who had passed about 10 years earlier. 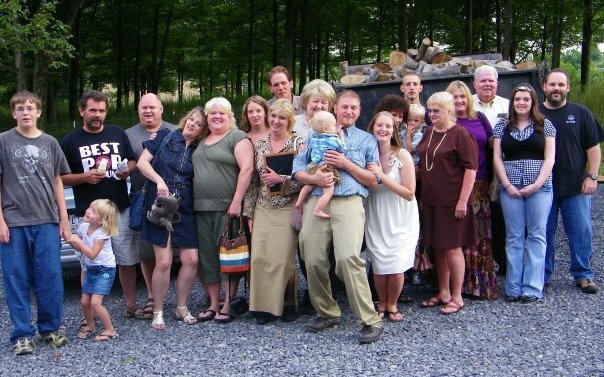 It was a very brief moment in time that seemed just like any other at that moment, but this was a rare picture of all of my siblings and both Mother's and spouses and kids all in one picture at the same time. I was sitting here trying to think of what kind of content I could use for today;s blog, I actually contemplated in doing a Wisdom Wednesday since I haven't done one of those in a while, but I wanted to take it into another direction instead of just little quotes from people, so I'll put that off until I can put something in there that can actually be useful. With that being said, I still needed to come up with some kind of content for today's blog, but my cranium isn't producing in the manner I would like it to be so I am really reaching for some kind of mid-week content to write about. I did come across an interesting and informative website about Festivals in West Virginia specifically, it is a part of a bigger website that covers all states, but since I live in West Virginia I thought that I would highlight what is happening in my state since we have so many wonderful festivals. Since it is Summertime, how about a link that points you to some of the areas best Swimming Holes around the northern part of the state. Blue Hole is highlighted as well as the Deckers Creek Trail. Since the kiddies are either done for the summer or about to be done for the summer, I'm sure everyone will want to find their own little private paradise swimming spot. I was always partial to Fortney Mills, but I understand that it is now privately owned and pretty much shut down to the public. * Well once again that dreaded thing that we refer to as Monday is now over with, and we are staring straight down the barrel of a Tuesday. If you have read my blog before you know what that means. * 18,811 days ago I entered this world. President Kennedy had just been shot about a week earlier, so I came out to see what was going on in the world. * It was 4,034 days ago that I fulfilled one of my lifetime dreams by graduating from West Virginia University. * 2,635 days ago I took a very special lady out on our first date, it was a horrible movie but I think she forgave me and gave me a a chance to make it up to her. * 1,859 days ago at around 4:00 in the morning, I got down on one knee and proposed marriage to Michelle. * 1,396 days ago, in front of our closest friends and family Michelle and I got hitched and made it all legal. It was a great day and we all feasted on a wonderful meal made by a special lady that is no longer with us. * I have about 6,026 days or so to go until I retire, give or take a few hundred here or there though as that is my rough estimate. * In 212 days my Goodbye 2015 Blog will post. This is when I relive my previous year according to what was written in my blog. * If you haven't started your Christmas Shopping yet, you still have 206 more days to go until we get there. * There are only 182 more days to go until my next birthday. * In only 103 more days Michelle and I will set sail once again on our 2015 Cruise to the Eastern Caribbean on the Carnival Pride. * There are only 95 more days to go until the 2015 WVU Football season starts when the Mountaineers take on Georgia Southern. * An event that I wondered if it was going to take place this year, we only have 72 more days to go until the Parrot Heads unite once again in Pittsburgh to see Jimmy Buffett. * Our Fourth Wedding Anniversary is in another 65 days. Yeah Us!! * The 2015 Family Picnic is coming up soon, it's only going to be another 26 picnic days away so to say that I am starting to get excited is a bit of an understatement. * There are only 19 more days to go until Summer!!! * This is my 4,071st post that I have written for George's Journal. I''ll be coming up on 11 years writing this literary masterpiece this September. * I have done little to no work on the Hall Family Tree this week, it's just that time of the year when I have other things going on. I'm about 80% towards capacity before they make me purchase another plan before I can go on. I'll re-evaluate that once I get there. * Nothing new on the Brother Search for this week, it has been a little slow as of late, but we are still waiting to hear back from the Salvation Army for confirmation of where it took place. 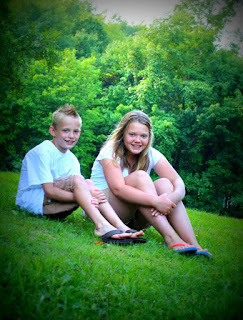 * Erica and Josh's Birthday Party will be held next weekend (13th) at Val's place. She has decided to move it to a Saturday evening thing as opposed to a Sunday Afternoon thing. * Josh Judy is still mowing down batters for the York Revolution. He's still waiting to get picked up from a MLB club after his season ending Father's Day broken wrist incident last summer. * We have a couple of Birthdays coming up this week, my Brother Gary's is Friday and Hayley's is this coming Sunday. * Now that all the WVU students are gone for the summer and the kids are finishing up their school years, that means it's time for Morgantown to start focusing on MountainFest. * It looks like local Radio Station WCLG has been sold. It happened a couple of years ago but there was a protest, but the protest has been denied. I used to love WCLG, but when they brought Lex and Terry on I changed my dial and have not moved it back since. They made some derogatory statements about Morgantown and their previous Morning show so I moved over to WVAQ Morning Show and have kept it there since. I like and prefer to local appeal over a syndicated show from outside of the area. 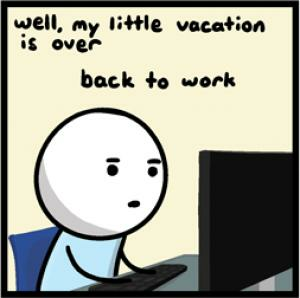 All good things must come to an end, and that includes those fun filled things we refer to as the weekend. 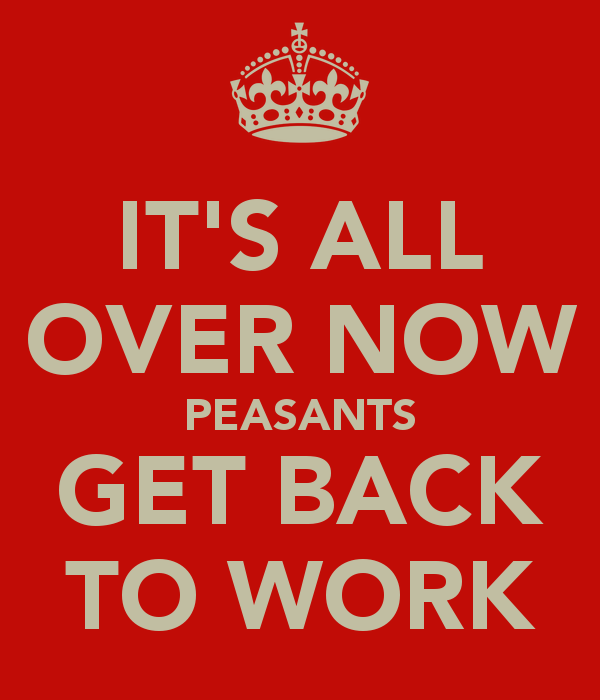 Now it's time to stick our noses back on the grindstone for another week of doing what it is we do for a living. I have to say it was a very good weekend, we even tried a new place to eat for lunch yesterday. We tried Morgan's High Street Diner and I'll give it a solid two thumbs up. I highly recommend it and they have an ice cream, challenge that is pretty ridiculous. 15 scoops of Ice cream, a banana, a waffle and a bunch of other stuff for like $16.00. You have 15 minutes to eat it and if you do it's free plus they give you a T-shirt to commemorate your accomplishment. That is 2 lbs of ice cream BTW. My week ahead doesn't appear to be too loaded up, hopefully we can just breeze through this week and get to another fun filled weekend. Now that it is June I have to start really planning for the picnic later this month. It's probably going to be just like it was last year, since that appeared to work out pretty well. Michelle and I will provide the hamburgers and hot dogs as well as buns and beverages. Have everyone just bring a covered Dish and it should go off as well as it did last year. Keeping my fingers crossed, wanting to get this decades picture with all my siblings this year.